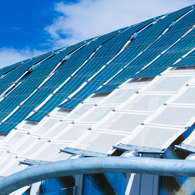 From essential infrastructure such as secure piping to deliver water, everyday products such as safe food packaging, and life-saving products such as medical dressings, prosthetics and child safety seats; to cutting-edge innovations in flexible solar cells and light-weight building materials. The products of chemistry play a vital role in Australia’s economy and in our everyday lives. The Australian chemistry industry is made up of over 5,500 individual businesses, from small family-owned Australian businesses to multinational enterprises. It is one of Australia’s largest manufacturing sectors, directly employing more than 60,000 people, many in highly skilled jobs, and contributing more than $11.5 billion to GDP in industry value add. Importantly, the business of chemistry is a key enabler of almost every value chain in Australia. 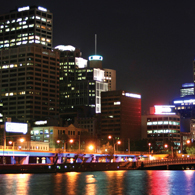 The industry creates the essential inputs that underpin a wide range of industry sectors, including the areas of competitive strength and strategic priority for Australia, such as food and agriculture; advanced manufacturing, medical technologies and pharmaceuticals; and mining equipment, technology and services. The Australian chemistry industry is strategically significant to a resilient, diverse and innovative Australian economy, and is a key employer of Australia’s valuable STEM capability. This is an important role, and the industry is proactive in charting a sustainable pathway for growth and investment through the Strategic Industry Roadmap, and an active policy and regulation work plan. 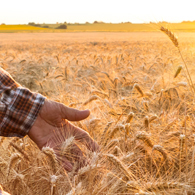 Ensuring a safe and plentiful food supply by protecting plants from pest infestation, increasing crop production through the use of fertilisers, high-yield seeds, and slowing soil erosion. 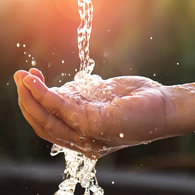 Providing clean drinking water through advances in disinfectants that kill germs and prevent disease, polymer membrane filters that remove impurities, and materials for pipes that protect water from the source to the tap. Developing the cities of the future with advanced technologies and materials developed for smarter and more efficient construction and transport, as well as material innovation in insulation, adhesives and sealants. Enabling the future of energy with sustainable technologies that are revolutionising the way we generate and store energy, including new developments in solar cells, wind turbines, and rechargeable batteries. Improving public health through medical breakthroughs and innovative technologies that help to protect against infection, prevent disease and improve treatment options. Strategic Industry Roadmap The Strategic Industry Roadmap is a proactive initiative of the Australian chemistry industry. It maps the requirements to drive sustainable growth and investment in the industry, and secure long-term benefits for the Australian economy, society and environment. Key Statistics The Australian chemistry industry is strategically significant because of its supply chain centrality. It is a critical enabler of almost every value chain in Australia, a key employer of valuable Australian STEM capability and a driver of innovation through advanced manufacturing.